UPDATED: 4/2 Happy April Fools' Day! Great news! 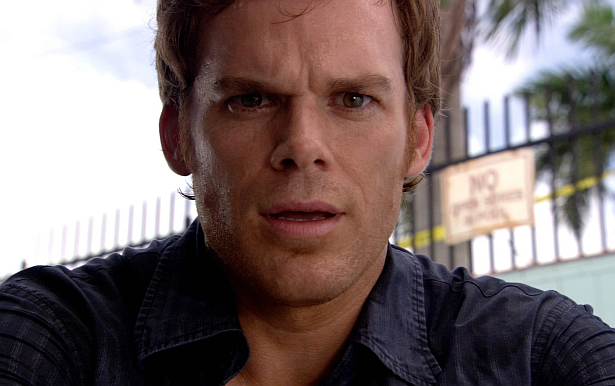 Are you ready for more Dexter? After the controversial series finale which aired six months ago, Showtime has considered lots of ideas to keep the franchise alive. With the spin-off discussions ongoing, the network throws another idea for a Dexter series on the table, this time based exclusively on Jeff Lindsay's novels: Darkly Dreaming Dexter (2004) -a reboot of the first season-, Dearly Devoted Dexter (2005), Dexter in the Dark (2007), Dexter by Design (2009), Dexter Is Delicious (2010), Double Dexter (2011), and Dexter's Final Cut (2013). According to sources, there will be no involvement of the original Dexter cast in this new show, if it actually happens. More scoop coming soon. Which actors do you imagine being a part of this show? Sound off in the comments below!